How does the HUD work? The Epic Eagle is a repeater that shows a 1280 x 480 image of whatever is currently showing on your device. That means you will see the middle 480 lines of the 768 lines from the device. It typically is enough data to fly with the HUD. As General Aviation HUDs become more popular and prevalent, software companies will begin to adapt, hopefully creating a "HUD Mode," and continue to add functionality which will further improve its capabilities. The Epic Eagle is a true HUD, meaning it has collimated light focused to infinity. It is the only portable, full color, high-def HUD in the world. We’re very proud of being able to bring it to the general aviation community at a reasonable price. If you are using a Stratus-type box, then you connect the iPad and the Epic Eagle to the Stratus via wifi. Then, you swipe up on your iPad, connect to the Eagle via Airplay, and whatever is on your iPad will be in the HUD. If you are not using a Stratus, then you connect directly to the HUD wifi network with your iPad. Then, as before, you swipe up on the iPad, and connect to the Eagle via Airplay. If you have more questions about the set up of how the device works, take a look at our Quick Start Guide. The iOS version is available here and the Android version here. I've got my Epic Eagle. Now, how do I set it up? For detailed instructions on both set up and use of the Epic Eagle HUD, please read our quick start guides. How do I mount my HUD? For mounting instructions, please read our Epic Eagle Mounting Guide. What EFP (Electronic Flight Planning) Programs does the Epic Eagle work with? The Epic Eagle HUD works with all programs on the market. The HUD is essentially a “projector” and works with both iOS and Android tablets. Anything which can be shared using Airplay or Screen Mirror will appear in the HUD. Therefore, we can work with WingX, Foreflight, Garmin Pilot and FlyQ programs. Is the Epic Eagle certified? After speaking with FAA officials, we have been informed that the Epic Eagle HUD does not require certification because it is not currently being contemplated as a primary flight instrument. Is the HUD available in different colors? Because the HUD sits on the glareshield of the aircraft & is subject to direct sunlight, we have used a white case to avoid any chance of overheating. There is also a fan internal to the unit to circulate air. Overall, the device is designed to operate in all conditions and we have found in flight test no occasions of overheating when produced in the white color. In the future, other colors and option may be available, although we do not have that option at this time. How much does the Epic Eagle cost? The cost of the Epic Eagle HUD is $1999. Do any of the EFP (Electronic Flight Planning) Programs have a HUD mode to display their information on the Epic Eagle HUD? Yes, Appareo Stratus 2S has a HUD Mode. That program can be downloaded from the App Store. Look for the Appareo Stratus Horizons app. Once downloaded on your phone or iPad, click on the “i” in the top right corner, scroll down to the bottom, and turn on the HUD mode. We are continuing to discuss the build out of this feature with other companies and believe the ecosystem in general aviation will continue to make improvements to their systems to accommodate the Epic Eagle HUD. Can the HUD display real aircraft information, not just GPS information? This depends on the system you use to display to the HUD. If you are using EFP programs to display to a notebook and then screen mirroring to the Epic Eagle HUD, the data is usually GPS data (groundspeed, GPS position, etc). We are working with Aircraft manufacturers and avionics companies to develop a solution that provides Indicted Airspeed and real aircraft position. These features should be available in the near future. Will the Epic Eagle fit in my aircraft? The Epic Eagle HUD was designed to fit in the majority of aircrafts flying in general aviation. It does require a glareshield onto which the HUD will need to be placed. 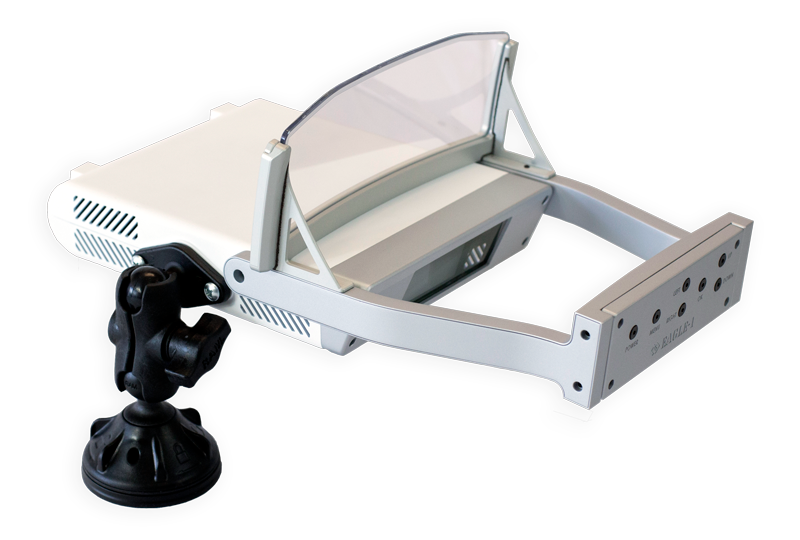 Our portable design has universal mounting pads on both sides and on the rear of the device. This allows the HUD to mounted to either a side window or the glareshield. Our experience mounting the HUD in a variety of airplanes has proven that it is truly universal. It may require pilots to experiment to find the best fit/placement in their specific plane. If you would like additional clarification, please give us a call to discuss this further. Does the Epic Eagle work well in bright sunlight? The HUD is 4 times brighter than military HUDS and uses color. Viewing in bright sunlight poses no challenges. Will the HUD work with my avionics (Garmin, Avidyne, Dynon, Aspen, GRT, L3, etc.)? 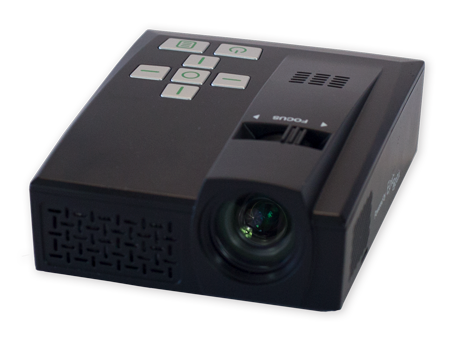 The Epic Eagle is a projector, as such, it can display information from any device. To the extent that your avionics communicates information from your navigation “stack” to a notebook, we can display it on the HUD. Additionally, our team has been working with a few avionics manufacturers to make display of data coming from avionics simpler and includes real aircraft data like, Indicated Airspeed. Will the Epic Eagle work with both Android and iOS devices? The Epic Eagle HUD can work with either IoS devices or Android devices. Learn more about how the connection between each device functions by reading through our Quick Start Guides. How is this device different from other competitive products? Simply put, this is the only full color, true HUD available for the General Aviation market. We have columnated light and the images are focused on infinity. All of that comes at the price of $1999. Why should I invest in this? I already have an IPad (or Android tablet) that I use when I fly. This is a personal decision that only the pilot / consumer can make. We have several pilots in our company who have flown in military and commercial aircraft. Their experience is that HUD’s can allow pilots to increase their situational awareness and their safety by keeping their eyes up & out of the cockpit, especially during key phases of flight like approach. How does the Epic Eagle receive power? Power for the Epic Eagle comes from plane’s power using a12 volt outlet (cigarette lighter). Some aircraft have 28v cigarette lighter outlets. In this case, we will include a converter with your order for the HUD. Can it use a USB port for power? No, USB ports will not supply enough amperage to power the digital light projector critical for the Epic Eagle HUD operation. What can I display? Can synthetic vision be displayed? Whatever is visible on your notebook, can be displayed on the HUD. So, yes, synthetic vision can be displayed. Can I use the HUD to display information for an IR camera I have on my airplane? It depends on how you might display the information currently; If you display the camera image to a notebook or phone, it can be mirrored to the Epic Eagle HUD. For further assistance understanding how this might work in your specific circumstance, please reach out to us. Can I mount it with the combiner glass down instead of up? Yes, there is a software capability to hang the HUD with the combiner glass down versus up. The critical issue here is that the pilot needs to view through the glass and align the HUD horizon with the actual horizon. It would take a very unique application to do this, but it is possible. Where is the Epic Eagle HUD manufactured? Our company is an optics company; We have found that the best optics are manufactured in Korea. We have established relationships with manufacturers and engineering resources and feel confident we have the best quality available. The Epic Eagle comes with a one year warranty from date of purchase. You can read the full warranty document here. To be eligible for the warranty, you must first register your product. You can do that by filling in this form. Can I purchase a larger display screen? Presently, we offer only one size of the combiner glass. Numerous aircraft fit-checks and resultant re-engineering defined the combiner glass size. Does the device come in a smaller size? Currently, we are only manufacturing one size of this device because it was designed specifically to fit in the majority of general aviation cockpits. How is the device shipped? Depending on shipping address, we will use either UPS or Fedex. Does my Epic Eagle purchase include anything besides the device? Some users have indicated that the Epic Event's external battery is difficult to pull apart from the projector itself. There are two small prongs that secure the battery to the projector. When separating the from projector from the battery, hold each section firmly without pressing on the lens. Pull apart. You may have to engage a prong to help loosen the grip. Also, it is advisable to hold the projector over a padded surface to avoid potential damage. You need a Display Port to HDMI adaptor cable. Once you connect the HDMI cable from the Event to your Mac, turn the Event on. After the Event initializes, push the Okay (Center) button to tell the Event to switch to HDMI. Go into Preferences on your Mac, and select Displays. At the top of the Menu, go into Arrangement, and place the Event image where you want relative to your Mac display. We’re here to bring you safely home.